The closed beta of Steam for Linux is over, and that can only mean one thing: Valve changed its mind and shut down the project entirely. Just kidding! It means that Steam for Linux is in open beta as of Thursday, available to all who would like to try out some organized tux gaming (so called for Linux's mascot penguin). Linux has been getting a lot of love ever since beloved-by-gamers Valve CEO Gabe Newell publicly decried Windows 8 over the summer, calling it "a catastrophe" for everyone who uses PCs. Ever since then, Valve has been hard at work getting Steam and a small selection of games ported to Linux. 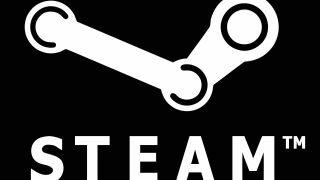 When Steam for Linux entered closed beta in November, Valve issued a call-to-arms seeking "experienced Linux users" to test it out. Then, on Wednesday evening, Valve announced in a Steam community post that the Linux Steam beta was open to the public as "an early holiday gift." Valve also announced that bugs should now be submitted via the Steam for Linux GitHub repository, which went live on Wednesday evening. As of Thursday, there are 39 games available through Steam for Linux, including Team Fortress 2, Amnesia: The Dark Descent, Superbrothers: Sword and Sworcery EP, Serious Sam 3: BFE, and more. It's not much, but it's certainly a start. Forum users and commenters expressed near equal amounts of joy and disparagement about Steam for Linux on Wednesday and Thursday. "Reducing dependency on Windows and encouraging platform agnostic code is a good thing for PC gaming going forward," wrote NeoGAF user Interfectum. On the other hand, "Steam for Linux is a nice extra for Linux users as they gain some native games," wrote Engadget commenter boe2BE, adding, "For most gamers, the migration to linux is still a bad idea however, since the vast majority of games are not supported and never will be." That remains to be seen, but it's certainly true that Valve has a long way to go if it wants to make Linux gaming an actual, viable alternative. In addition, Valve's "Steam Box" living room PC hardware, thought to be launching next year, may or may not have something to do with Steam for Linux - there's no way to know until Valve decides to tell us. Either way, it's clear that the market for Linux Steam games exists, however small, and that tux gamers are just as eager to play Half-Life 3 as anyone.